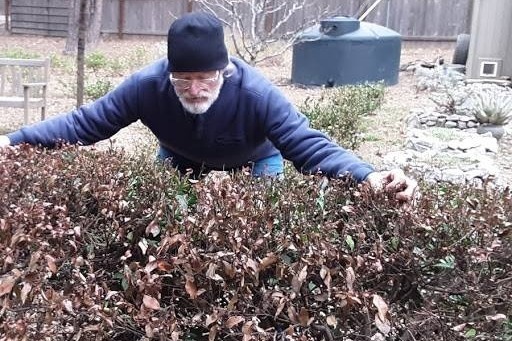 We were just beginning to expand our tea farm when the devastating Campfire in Concow, California blazed through it. It was 6:30am when the family awoke. A splendid concert by Estas Tonne was enjoyed in Sacramento just the night before, and life was never the same, again. At 6:47am, Donna smelled smoke when she went to the garage for dog kibble. When Mike came out and saw a peach colored sky and heard the trees popping and crackling, he knew fire was coming down from the nearest hill. We could grab only our beloved dogs, Darjeeling, Geer and Tea Puppy, their beds and a box of paperwork. We could not see our five cats. Mike now thinks about his wild turkey pets, his tame bluejays, TJ and Peanut and his deer, Bucky, hoping they survived. It took 10 minutes to get out, and as we drove, trees on each side of the road were ringed with fire and heat. Our first home in the "Subaru Hotel" was a parking lot near Highway 70. We were asked to migrate to Oroville, where we stayed in the lot near Tractor Supply for a few days. Three medium-large dogs and two adults in a Subaru Crosstrec made conditions cramped, to say the least. A friend then offered parking on his 300 acre lava field North of Chico, and we found chilly, but welcomed, peace and quiet. From there, we stayed in our son, Brice and Natalie's family apartment parking lot. At the apartment, we enjoyed the best shower we ever had. 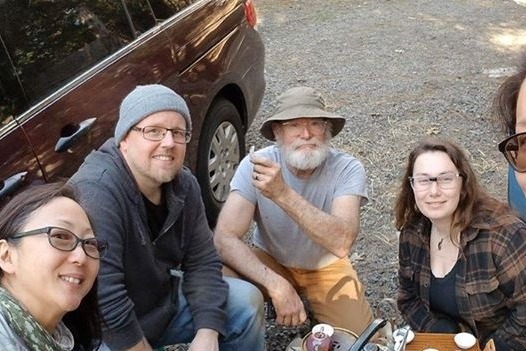 Mike's daughter, Leah, offered her home in Point Reyes Station, and we enjoyed a lovely retreat on the coast. We have not yet been able to see daughter, Carissa, in Seaside, but we feel her vibes. Now, we are in a cabin in the foothills of Oroville near Feather Falls, regrouping. Many things have come our way, such as new dentures for Mike from Kearby Dental in Oroville. Donna's sister, Julie, sent an acer chromebook, which is being used right now for the first time. Clothing and bedding have been given to us ... Our facebook friends and groups are lovingly here for us. The kindness of humanity truly still exists. Calfire pictures of our 4 buildings show our home, The First Western Tea Barn - built by Mike from the ground up, his tea wares, finished tea and workshop reduced to complete rubble. Standing is one small chicken coop and Donna's hammock! 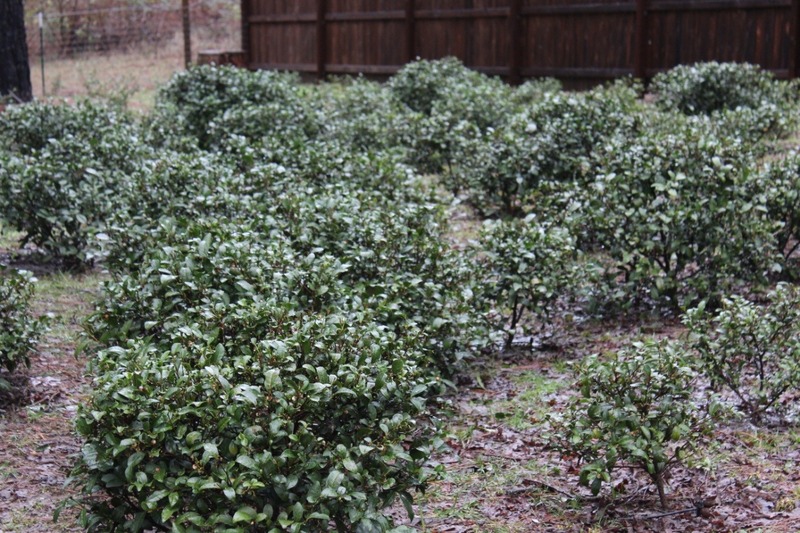 Mike is confident that the tea plants are just singed and that the root stock is still going strong. We just need to get back and do the work we need to do to revive the tea farm. 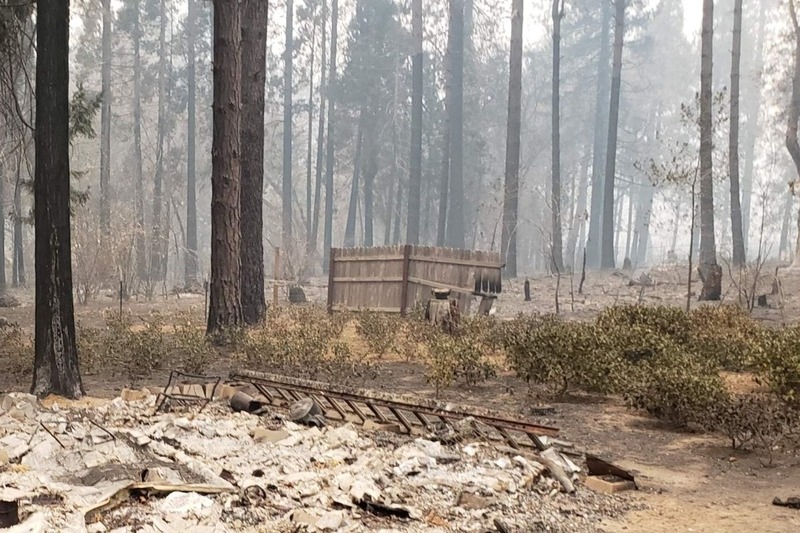 We will need to rebuild the well, reconnect septic, get a tiny home dwelling, reinstall tea plant irrigation, put up fencing and establish work spaces, including a tea facility. Please help us revive and save our tea farm. A donation of any size is greatly appreciated! 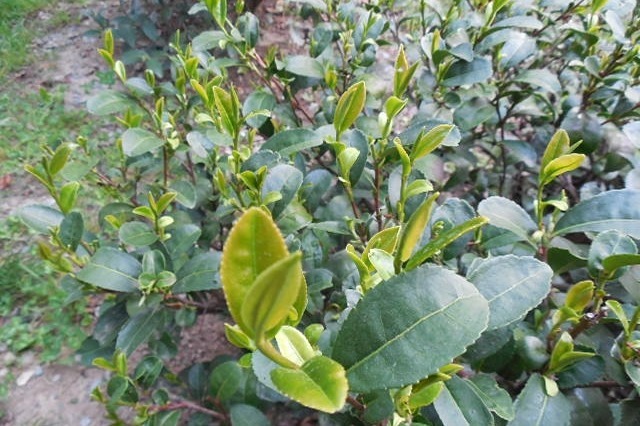 Golden Feather Tea farm is growing brighter. Passed Phase 1 clean up and will be working with a local contractor to finish the clean up. 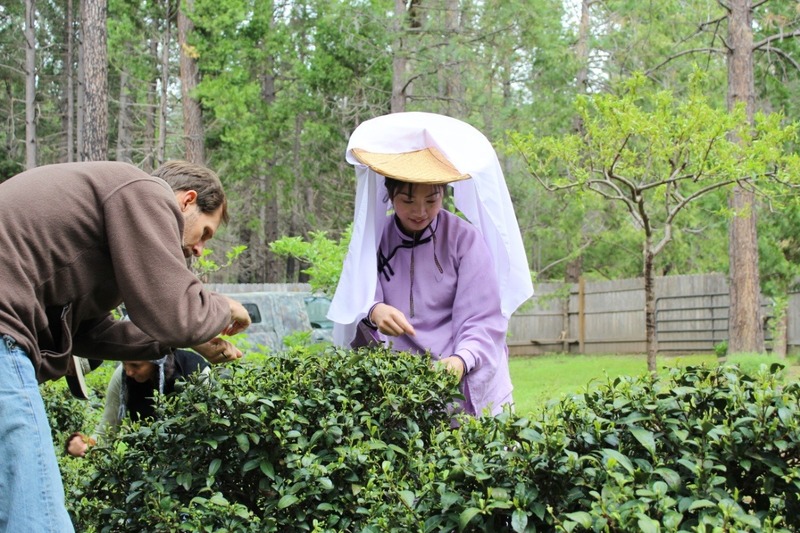 Meanwhile, the tea crew, David, Maggie, Nami, Linda and Mike have been cultivating and fertilizing tea plants. Signs of new growth are everywhere! Anyone interested in tea regeneration is welcome. Expand the existing tea garden by purchasing land and moving the plants, adding additional plants. For this action, we need financing / donors. 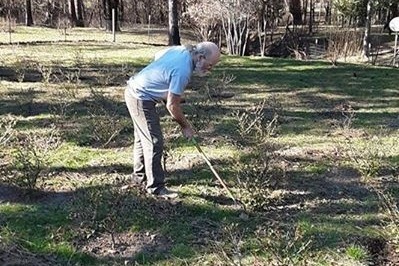 Sell the existing tea garden to someone who values growing tea bio-dynamically in California and would like to continue to cultivate the existing garden, maybe to expand at a future date. If you know us and our story, you know that we cherish the Tea. We would like to pass the blessings on, as we are growing older. For details, please contact us via our GoFundMe sight.